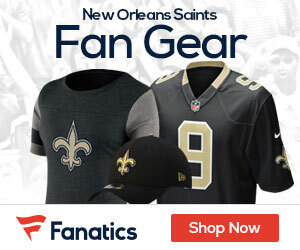 For fans of the New Orleans Saints, we've now reached the time of the year in the NFL where rumors are running rampant; and the ability to separate fact from fiction becomes much harder. Welcome to the era of what our nation's current President likes to refer to as "Fake News". As the peak of 2017 NFL Free Agency has already run its course and NFL teams begin preparing for next month's 2017 NFL Draft in earnest, there is currently a lot of information (and misinformation) floating around out there that can be a source of frustration for Saints fans in their never-ending quest for the truth. And so it's with that idea in mind this morning here at the Saints News Network, that we're going to take a quick look at some of the biggest rumors currently regarding the team and give you our perspective, based on the available facts as well as some of the conversations I've personally had with other members of Saints Media. "People say believe half of what you see, and some of none of what you hear". Nearly 50 years later, Marvin Gaye's words still ring true in a world full of falsehoods and "Fake News". TRUE OR FALSE: Likely false. As it turns out, Saints head coach Sean Payton did in fact have breakfast with Manziel during Super Bowl week in early February, while Manziel seeks out advice from a variety of people within the NFL about making a possible comeback, after his noted battle with drug and alcohol addiction. The obvious issue of course becomes: is putting Johnny Manziel in the city of New Orleans -- a city notorious for its reputation as a "Party Town" -- a good environment for an individual with well-documented substance abuse issues? There's no denying Manziel's talent, and he's still young enough (age 24) that he coud make a comeback and still end up having a decent and maybe even a very good NFL career. A Saints beat writer whom all Saints fans are familiar with told me privately yesterday that IF the Saints feel they could manage the crush of media hype and the "the circus" that would come along with bringing Manziel in, they would probably entertain the idea. Given that the Saints have recently taken a liking to Texas Tech QB Pat Mahomes, it's still more likely that the Saints will end up drafting "the QB of the future" to eventually replace Drew Brees, instead of signing Manziel. Since the trade of WR Brandin Cooks to the Patriots a few weeks ago, the Saints for the past few weeks have allegedly been in negotiations to acquire the services of Butler, who has until April 21st to sign the restricted free agent contract offer tendered to him by the Patriots. The lingering issues: the amount of guaranteed money that Butler would be seeking from the Saints in a long-term deal, and obviously the compensation that the Saints will have to give up to New England in return for Butler. Because the Saints aren't probably willing to part with their top pick (#11 overall) for Butler, the assumption is that the Saints and Patriots -- namely Saints head coach Sean Payton and Patriots head coach Bill Belicheck -- likely already have a "handshake deal" in place that will give New England either the Saints' #32 overall pick right back to the Patriots (the one they just got from them in exchange for Cooks), or perhaps some other variation of a "fair package" for both teams (perhaps giving New England one of the Saints' 3rd Round picks and their #1 pick in 2018). One thing to keep in mind: there's always the possibility that this deal could fall through, and the Saints will just keep the picks that they currently have, thereby increasing the likelihood being that they then would draft a cornerback within the first few rounds, perhaps even as high with the #11 overall pick on a player such as Ohio State All-American CB Marshon Lattimore -- whom Payton and company got an up close and personal look at just yesterday -- at Ohio State's Pro Day. While it is highly advisable that New Orleans should draft mostly defensive players with every pick that they have to continue the much-needed upgrade of their less than stellar defense of the past 3 seasons; the fact remains that head coach Sean Payton is an offensive-minded head coach --- and a rare talent such as McCaffrey is a player that Payton would definitely consider taking if he's available. There isn't any question that the Saints will likely take a defensive end / edge pass rusher with their top pick at #11 overall, but any pick after that always has the caveat that an offensive position could be addressed. With the added possibility of losing back-up RB Tim Hightower in the final wave of NFL Free Agency, New Orleans may be almost forced to add a top-caliber player at the RB position behind starter Mark Ingram; and there isn't any doubt whatsoever that a player like McCaffrey would add a dimension to the Saints offense as both a runner and a receiver that the Saints haven't had since the days of Reggie Bush or Darren Sproles. Assuming that the Saints retain the #32 overall pick and don't trade it right back to the Patriots for CB Malcom Butler, McCaffrey is definitely a name to remember if he is still available when the Saints pick at #32. With the departure of Cooks to New England, the Saints once again are without a WR that can stretch the field vertically with deep speed such as the "quicks" that Cooks possessed. While Michael Thomas, Willie Snead, and Brandon Coleman are all capable of providing QB Drew Brees a variety of reliable options at the receiver position, none of them are considered "burners" in that sense. With New Orleans picking 5 times within the first 103 picks of the Draft, you had better believe that if that type of WR is available, they won't hesitate to pull the trigger on one. ICYMI: #Grambling WR Chad Williams ran a 4.37 at his Pro Day, yesterday. #Saints likely looking for a new speedster this year.